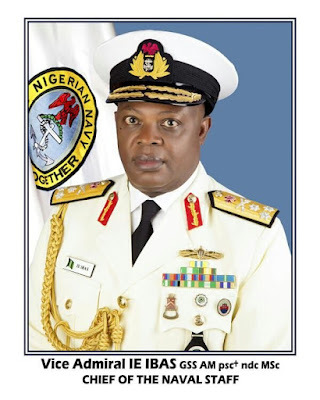 The Chief of Naval Staff(CNS), Vice-Admiral Ibok Ekwe Ibas, expressed this at the opening of a two-day maritime stakeholders’ conference on sustaining the sector, which held on Monday at the Oriental Hotel, Lagos. The CNS said the maritime domain remains crucial to the development of Nigeria and maritime security would foster maritime development. He said that there was however growing concerns of the vast resources of the maritime industry being undermined by multi-faceted domestic, sub-regional and international threat and vulnerability. The CNS said that within the past decade, there had been issues of illegal bunkering operations of illicit refineries in the swamps of the Niger Delta. He also noted that attacks, pollution, drug, small arms trafficking, kidnapping, unregulated fishing had been across the domain. He said, “These endemic threats have resulted in constraints on economic prospects. He urged the minister to consider the security in the projections for the maritime domain in Nigeria. He also pledged the commitment and support of the Nigerian navy to a secured maritime environment and hoped the post conference activities would be backed with the kind of resolve that stimulated the conference.